"Just let Rio host the 2016 Olympics. We don't mind. Honest"
When it comes to backing the bid, Mayor Daley, Chicago's got your back. Waaaay back. 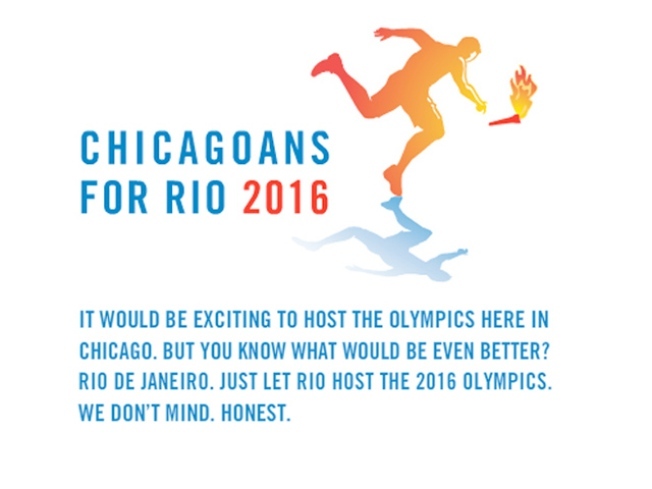 At least according to ChicagoansForRio.com, an anonymously created web site devoted to resisting Chi's Olympic plans by promoting the charms of its closest 2016 competitor, Rio de Janeiro. "It would be exciting to host the Olympics here," the site reads, below a spoof icon of an Olympic torchbearer stumbling. "But you know what would be even better? Rio de Janeiro. Just let Rio host the 2016 Olympics. We don't mind. Honest." Designed similar to a Sprint commercial for Olympics-related data, ChicagoansForRio displays a grid of Olympic-related stats meant to dissuade local bid backers. Data includes recent crime info (link to Everyblock's recent police reports) and factoids on previous bid cities, e.g., five years after hosting, 21 of 22 of Athens' Olympic facilities remain unused -- apparently sourced from this 2008 Daily Mail article, which alleges, among other disconcerting facts, that "the magnificent stadiums are now over-run with rubbish and weeds." ChicagoansForRio also displays a head-to-head city comparison widget, comparing everything from city nicknames (The Marvelous City vs. The Second City), beaches (Copacabana vs. 63rd Street), and signature events, e.g., naked people dancing vs. chubby people eating. "A lot of crowds, a lot of traffic, they're going to build the facilities in parks so the people won't be able to use the parks, and the city won't be any better off than it was before." 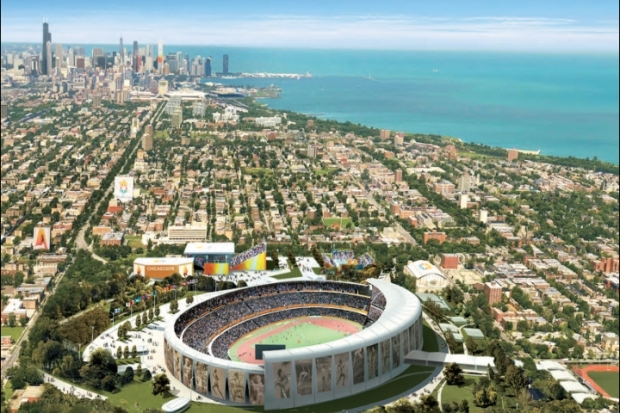 For complete coverage of Chicago's Olympic bid, click here.